We’d love your help. Let us know what’s wrong with this preview of Eternal Curse by Caroline Peckham. While Callie struggles with the binds of the slayer's vow, Montana faces a wedding which will deliver her into the hands of the vampire royals forever. Can Callie make it to New York before all hope is lost? A While Callie struggles with the binds of the slayer's vow, Montana faces a wedding which will deliver her into the hands of the vampire royals forever. To ask other readers questions about Eternal Curse, please sign up. Callie struggles with the consequences of the slayer's vow while Montana faces a wedding which will deliver her into the hands of the vampire royals forever. But things become more dangerous as the murders escalate in New York City and it seems Montana is next. Will Callie be able save her sister this time? ⤷ OMG THAT ENDING! MY HEART! ⤷ This book was really a big changer for how I feel about Callie and Magnar. I really enjoyed their development and the journey they were facing! ⤷ Eric and Montana just continually break my heart and I have feeling it's going to get worse for them and me! ⤷ Oh Julius, he became one my favorites in the series instantly. I loved his humorous and confident attitude. 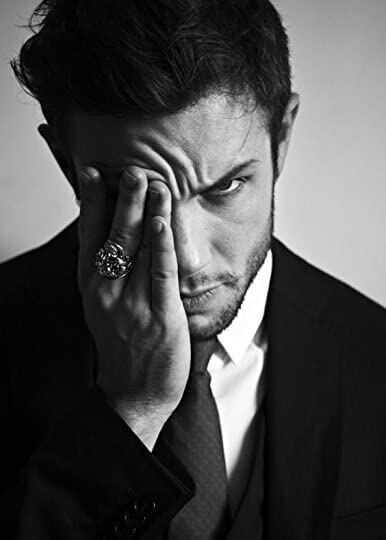 He reminded me a lot of Jameson, which is a character from Caroline's other vampire series. Really hope we get to read more of Julius! ⤷ I can't believe we are only halfway through the series. I feel like so much has already happened and I can't wait to see what more there is in store! "Your heart should be your own to give. No matter what path you choose to follow in this life"
These books just get better and better as the story progress. I was on the edge of my seat throughout this book! This is series is totally binge-worthy! Both Caroline and Susanne are masters at creating twists that are completely unexpected and earth-shattering, while simultaneously allowing us to experience the story through their characters' eyes and feel as if we are truly a part of it. I experienced so many emotions throughout this all-consuming and intoxicating novel, during which Caroline seemed to love toying with my sanity. I came away liking and pitying characters I firmly used to hate (Fabian!) and absolutely devastated for everything Erik and Montana have gone through and will now have to face as they seem to continually draw the short end of the stick. I'm excited and terrified by what these two lovely ladies have in store for my beloved characters in ETERNAL VOW, and I will undoubtedly devour it as soon as I get the chance; I just hope both authors give us a whole book of happiness and love after everything they've put us through so far! O.M.G. This series just gets better and better. So much happened in this book, especially at the end. Things did not go how I thought they would, and I am living for the drama. Especially the whole mess with Fabian. Who would have thought that would happen? And I really want to be Callie when I grow up. Obliterating any room I am in when angry is a new personal goal. The girl is fierce. I can't freaking wait for the next book so I can find out how this all ends. ***I voluntarily reviewed a compli O.M.G. This series just gets better and better. So much happened in this book, especially at the end. Things did not go how I thought they would, and I am living for the drama. Especially the whole mess with Fabian. Who would have thought that would happen? And I really want to be Callie when I grow up. Obliterating any room I am in when angry is a new personal goal. The girl is fierce. I can't freaking wait for the next book so I can find out how this all ends. Book 3 of the series will be out on April 5th! Add to your TBR now and get ready for the vampire dystopian romance you've been waiting for! While Callie and Magnar set out to rescue Montana from Erik’s clutches, Montana is kidnapped by the mysterious hooded man who turns out to be non other than Julius, Magnar’s brother. Julius comes to realise Montana and Callie’s part in the prophecy and is incredulous when one of the blades confirms her destiny is linked to Erik. Montana decides to return to Erik to learn more about the prophecy. Will Andvari be forthcoming? When Callie is captured and Fabian stakes his claim on her, Magnar and Julius must race against the clock to stop the wedding ceremony. A formidable foe is one step ahead however and the ensuing clash results in far reaching ramifications. The Age of Vampire series is turning out to be a gift that just keeps on giving. When a book leaves a reader with so many conflicted emotions, it is a testament to their writing and characterisation skills and both authors have these in abundance. Rarely do I find myself emotionally invested in characters from the get go. From very first chapter of Eternal Reign however, I found myself doing just that and what an emotional rollercoaster it’s been. I’m really pleased that we were given further glimpses into Erik and Magnar’s past from their point of view as it adds additional insight into their personalities and motives. The explosive climax was devastating and I felt like screaming towards the end. The stakes have never been higher and I can’t wait for the next instalment. Eternal Curse starts right where Eternal Shade left off and it was so good. The story was so well-written, there were so many Full Review on my blog! Eternal Curse starts right where Eternal Shade left off and it was so good. The story was so well-written, there were so many good plot twists and the book was really fast paced. The Age of Vampire series is just such a good vampire series and I cannot get enough of it. This novel was addicting, I read it in one sitting. I don't know what more I can say about this heart-stopping series and amazing characters. The ending was explosive. This whole story-line is so unique, and the creativity behind the characters and the plot is just great! That's why I've really been loving Caroline's books, they're so different and unique, she is an author to look out for! I've never read anything from Susanne, other than this series so far, but I'm looking forward to more from her. This series is something to look out for... SERIOUSLY. That cliff-hangar, got me so shook. I'm sooo looking forward to starting book 4, Eternal Vow tonight. I WANT MORE!!! haha I highly recommend it! I nodded, my mouth growing dry from his proximity. Just finished this book and it was amazing. Hands down this series is getting better and better with each book. I love the chapters alternating between the sisters and Magnar and Erik. We learn more back story with both. The ending was shocking and amazing and I cant believe it. I need to get my hands on book. I need to know what is going to happen. This book makes you laugh, and cry, and frustrated. Every emotion the characters go through it feels as if you are going through them as well. We see Callie face her choice to become a slayer and just what all is involved with it. We see Montana fighting with her self on her feelings for Erik and what she thinks she should feel. Especially with the death of her father. My favorite part was what happens between Erik and Montana at the wedding because I am rooting for these too. My heart broke at the end but I know they will be together again. I was so happy to see Julius in this book. I am glad he is still around he is so funny and sarcastic. This book was provided by the author in exchange for an honest review. Thank you Caroline Peckham and Susanne Valenti! Eternal Curse is the third book in the Age of Vampires series and continues the story of Callie, Montana, Magnar and Erik. Eternal Curse started right where Eternal Shade left off and it was so good. The story was so well-written, there were so many good plot twists and the book was really fast paced. The Age of Vampire series is just such a good vampire series and I cannot get enough of it. 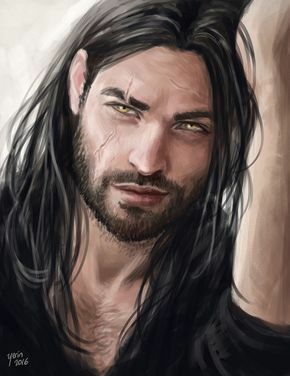 I didn’t really have a favourite sister in Eternal Curse, but I do have a favourite ‘boyfriend’ at the moment. I really liked how Erik showed his true feelings in this book. He showed his vulnerable side and that made me melt. I still loved Magnar in this book, don’t get me wrong, but Erik was my favourite one this time. This review has been hidden because it contains spoilers. To view it, click here. Wow 😱😱😍😍 i read this book within 24 hours (a new record for me lol) that just shows what a truly amazing series the age of vampires is!! I felt like i was on an emotional roller coaster the whole way through this book, I just had to keep reading! The journey this series has taken so far has been action packed with ups and downs, romance, battles, love, betrayal, death... you name it, it’s happened! I love the characters.. Montana and Callie have been through so much and have finally found each o Wow 😱😱😍😍 i read this book within 24 hours (a new record for me lol) that just shows what a truly amazing series the age of vampires is!! I felt like i was on an emotional roller coaster the whole way through this book, I just had to keep reading! The journey this series has taken so far has been action packed with ups and downs, romance, battles, love, betrayal, death... you name it, it’s happened! I love the characters.. Montana and Callie have been through so much and have finally found each other but now they have more challenges to face... I can’t wait to find out what happens next!!! So this novel took much longer to read that I wanted it to. Because life happened, which is rude. This novel was beyond engaging. This series is highly addicting. Monty and Callie are spitifire twins, and I absolutely need to know what is going to happen with them, their stories...the plot twists that happened just in this installment alone was mind blowing. I was ready to throw the book multiple times in excitement. I am so excited about something that happens with Magnar, that had me crying in h So this novel took much longer to read that I wanted it to. Because life happened, which is rude. This novel was beyond engaging. This series is highly addicting. I was ready to throw the book multiple times in excitement. I am so excited about something that happens with Magnar, that had me crying in happiness this novel. And umm what the heck, I have positive feelings towards Fabian. I think I am broken. All I know is I need more of this world, these characters. Monty and Callie are amazing, then men in this series are extraordinary. I never want this magical ride to end. I need to know what happens next! I'm so invested in Callie and Montana's story that I stayed up all night long to finish it. I could not put it down. Where do I even start! I can't put this series down! It's one of the best ones I've read in a while. I will say, though, I've noticed more swearing than in past books. Not necessarily a bad thing, but it did pop out at me. In book 3 we start to see some characters facing choices they've made. Callie, who has now taken the vow, must face the challenges it has caused. She now wars with being told what to do and having to follow it, and also not being allowed certain actions that before were within her reach. Montana, on the other hand, has to deal with her upcoming wedding and some knowledge she gains from others regarding that. On top of that, she has to work through what her heart is telling her and what her brain is telling her. She keeps remembering stories and information told to her as she was growing up, and she also has feelings that are growing stronger as time goes on. You see an interesting side to Fabian, and I find I'm still torn about this particular character. I find sometimes with books that are in the middle of a series that they can sometimes go dry while the author is trying to finish the story, and then maybe picks up near the end. This is not the case with this book! Absolutely brilliant book! There are no words that can adequately describe it! We join the heartbroken sisters right where the last book left off. Their father has died at the hands of their enemy and they both vow vengeance. Callie wakes up with the power of her ancestors and to the anger of Magnar. Montana finds herself even more deeply invested in Erik and answers to the new title of fiancée. As the girls work their way towards each other a plan forms on how to bring down the vampires. Along Absolutely brilliant book! There are no words that can adequately describe it! We join the heartbroken sisters right where the last book left off. Their father has died at the hands of their enemy and they both vow vengeance. Callie wakes up with the power of her ancestors and to the anger of Magnar. Montana finds herself even more deeply invested in Erik and answers to the new title of fiancée. As the girls work their way towards each other a plan forms on how to bring down the vampires. Along the way though another plot is in the works-one that they aren’t in control of and completely at the mercy of their unknown enemies. The characters are continuing to row and embrace their fates. The details and descriptions are still top of the class as well. There is definitely more romance involved and it is all done in a tasteful manner hat sticks with the story. We also meet another key character and get more of a glimpse into the past. Eternal Curse was an explosive mind blowing continuation of Montana and Callie journey. I felt like I was watching a movie I was literally on the edge of my couch. Erik and Montana /Rebel ❤❤❤ there is so much more in this edition betrayal confessing heartbreak and finally it is not what you would expect lots of twist and turns and some few surprises along the way. Brace yourself for this wonderful epic journey and wanting more and more. Eric Callie Magnar hell even t Eternal Curse was an explosive mind blowing continuation of Montana and Callie journey. I felt like I was watching a movie I was literally on the edge of my couch. Erik and Montana /Rebel ❤️❤️❤️ there is so much more in this edition betrayal confessing heartbreak and finally it is not what you would expect lots of twist and turns and some few surprises along the way. Brace yourself for this wonderful epic journey and wanting more and more. 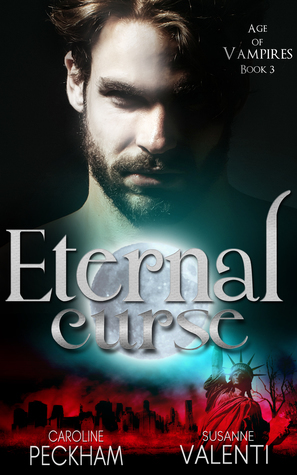 Eternal Curse is book 3 in the Age of Vampires series. A recap of book 2..
Montana has chosen Count Erik as her desired mate..
Callie has chosen to take her Slayer vow to be a sworn Slayer of the Vampires with Magnar as her trainer.. after her father was killed by one of the Elites (a vampire that was turned by one of the Belvedere's). Full of pleanty of action, surprises and turns on every chapter.. by far this has been my favorite.. I can't wait to see Eternal Curse is book 3 in the Age of Vampires series. A recap of book 2..
One of the best vampire stories!!!! This series is so amazing! Two twin sisters have to face insurmountable odds, both facing very different paths, both with slayer blood running through their veins. The story is nonstop action as the two remaining slayers of the old world battle against the vampires and the vampires continue to try to find a way to break their curse. It is impossible to put this story down and as one book ends it leaves you needing more! I cannot wait to find out what happens ne One of the best vampire stories!!!! This series just keeps getting better and better!! If you have anything to do or any weekend plans do not start it because you will not be able to stop. Love, loyalty, action it has it all.the sister's have to make hard soul crushing decisions about the future .what will they choose? eachother? Love or loyalty? It may surprise you who chooses what and whom. Start this book when you have nothing else to do as it will surely fall into the background until you have finished and even then you will le This series just keeps getting better and better!! If you have anything to do or any weekend plans do not start it because you will not be able to stop. Oh holy cow the emotions I felt reading this book.... I felt the love, joy, hate, terror and sadness all in one book. The journey that both girls go through to get back to one another is totally unbelievable. They each have strong men at their sides to guide them. This book is full of adventure and battles!! I loved everything about it and the author's are two totally amazing ladies!! Callie and Montana are trying to get to each other and feelings are getting confused. Should Montana feel this way about Eric and what about Sallie and Magnar. The gods are playing games and it may take a while for everyone to figure out the rules. Ready for more. I love this series. It is just amazing. The relationships between both sisters and their boyfriends is growing. I love how both couples grow and learn more about each other. There is on the edge of your seat action. You never know what will happen. But I find myself rooting for both of them. Awesome series and so well written. I just love both of the authors!!!! Caroline Peckham is the author of The Rise of Isaac Series and the V Games Trilogy. Caroline lives in the south east of London with her best friend and a little rescue cat. When she's not writing, she's binging Netflix shows, going to the gym or at the pub pretending to be cool. She adores her fans and loves to hear from them personally. She'd love for you to reach out to her on Facebook, Instagram Caroline Peckham is the author of The Rise of Isaac Series and the V Games Trilogy. She adores her fans and loves to hear from them personally. She'd love for you to reach out to her on Facebook, Instagram and Twitter!